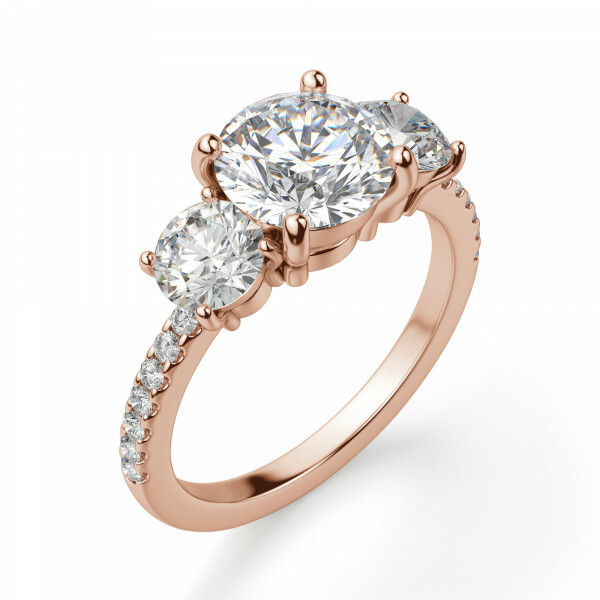 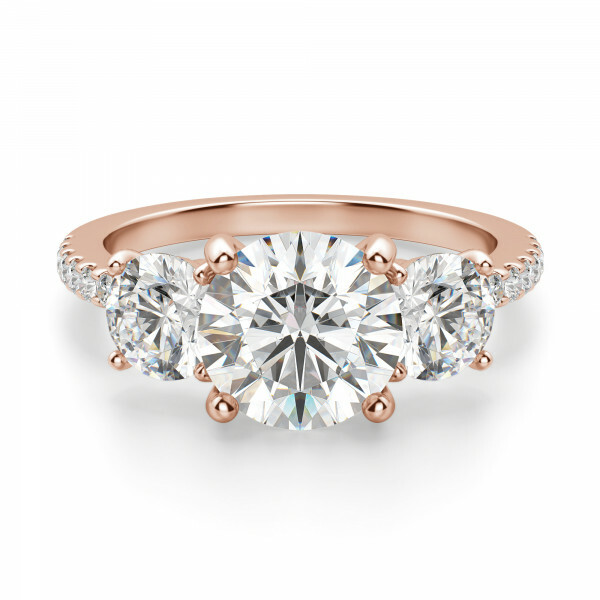 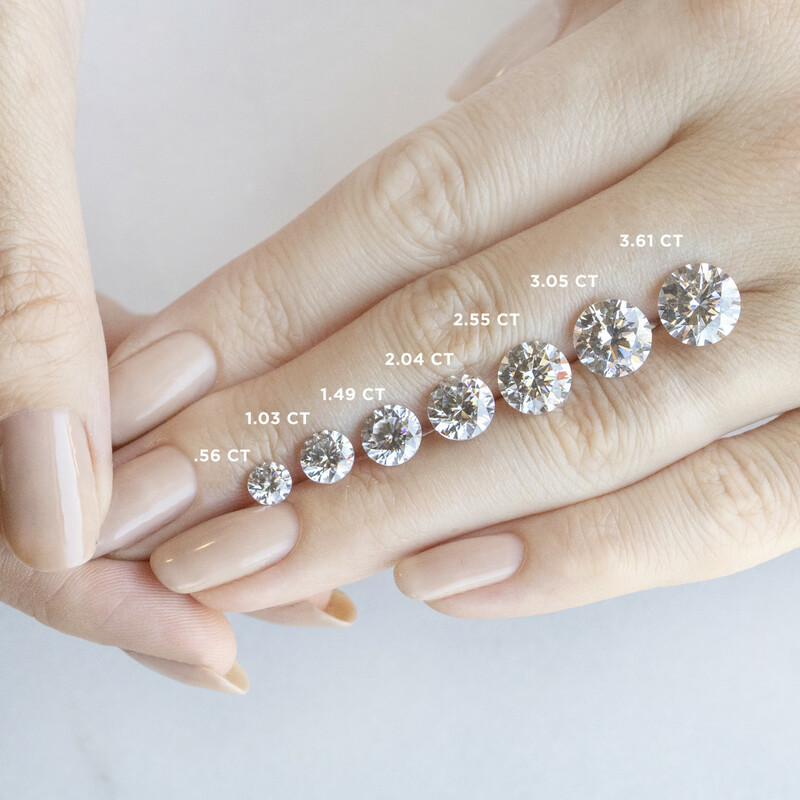 The Three Stone Accented Round cut engagement ring traditionally represents the past, present and future of a couple’s relationship. 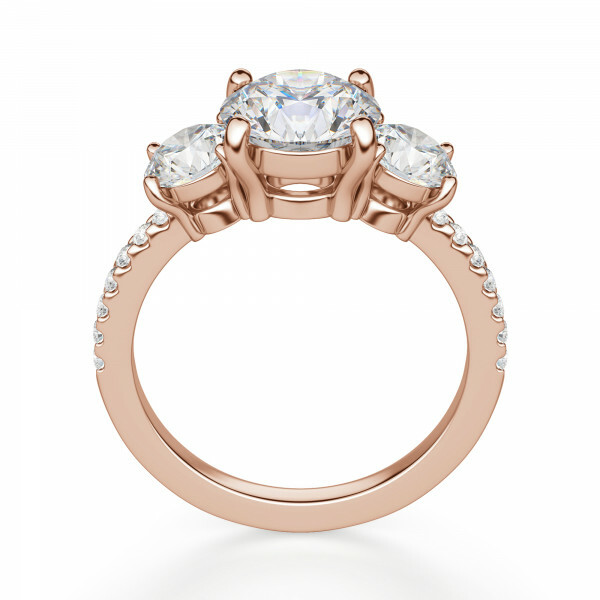 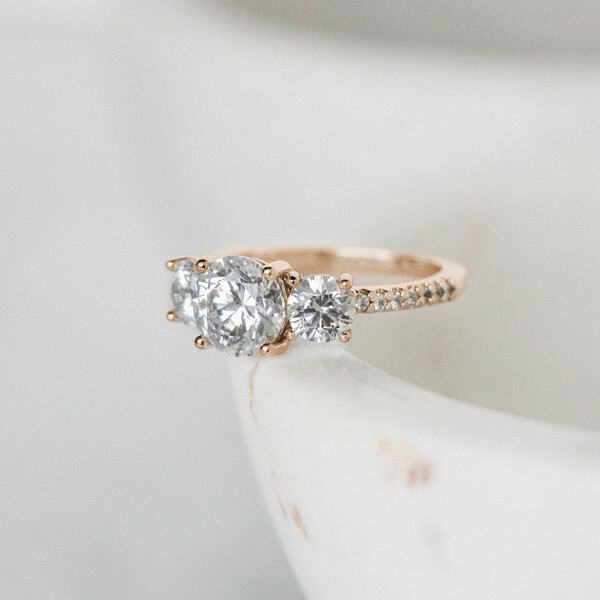 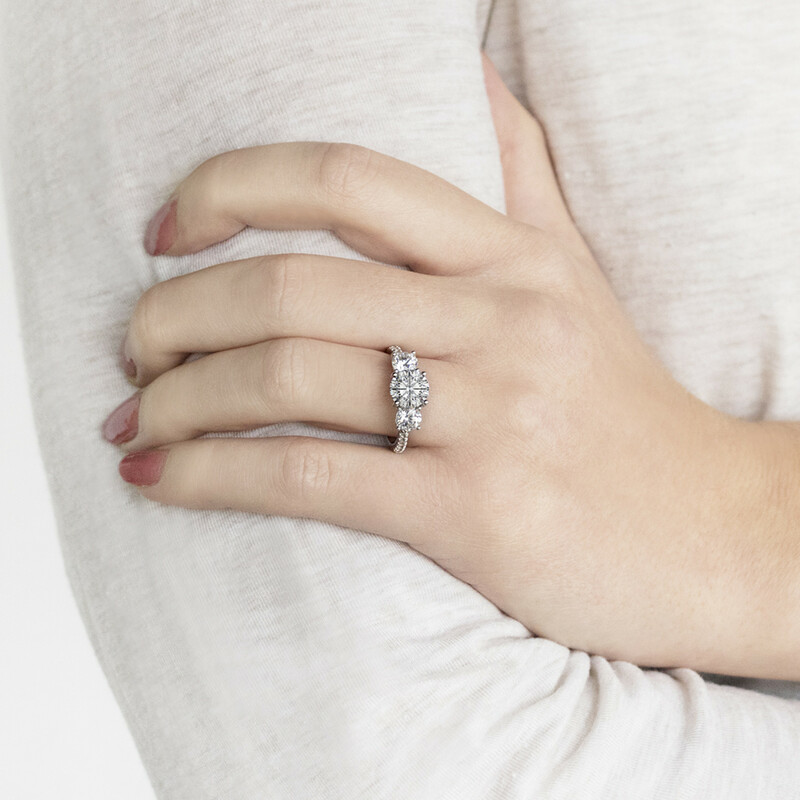 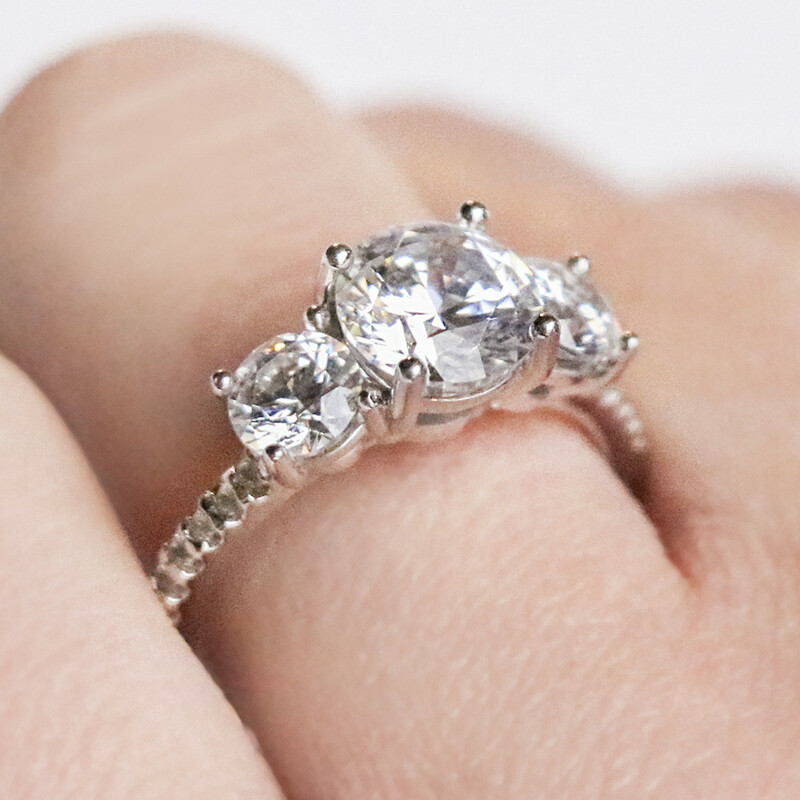 This engagement ring is a classic three stone design with basket settings, which allow maximum light to enter the Nexus Diamond alternatives from all angles and create captivating sparkle. 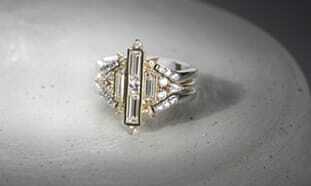 The band is prong set with accent stones that add a little extra shimmer and polish to this timeless piece.